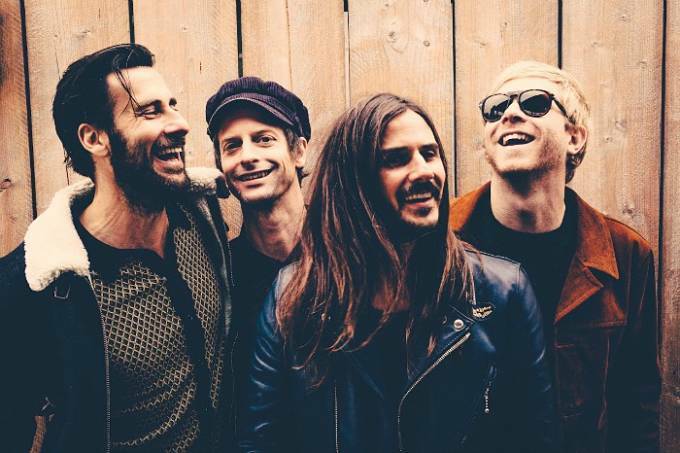 When Write on Music caught up with the Temperance Movement last summer, the nascent British rock band was trudging through the States and Canada on what seemed like an interminable tour. A coveted opening slot for the Rolling Stones in Orlando only weeks before had offered a unique challenge to turn a massive (and arguably impervious) audience onto the band’s long-in-the-works, self-titled debut album. In headlining its own gigs, however, the band found a North American slog of one-nighters far more conducive to its cause. Now with a new LP, White Bear (Fantasy/Concord Records), the Temperance Movement build upon the swaggering musical foundation of that first album, sublimating its edgiest blues/rock distinctions with more eclectic dimensions, recalling the crunchy riffs of early AC/DC along with moments of streamlined late ‘70s arena rock as well as some headier ‘90s grunge. 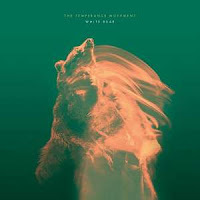 Changers have certainly been afoot, and not only with the music but with the musicians—guitarist Luke Potashnick has since left the fray, leaving with Sayer with drummer Damon Wilson, bassist Nick Fyffe and frontman Phil Campbell—and some newly provocative themes that certain songs on the album address. How has being on the road affected the chemistry of the band, especially when it came to making the second album? Well, when we made the first album we weren’t really a band. We were kind of five guys who’d gotten together to make the music. By the second album we were a band. We’d done hundreds of shows together. So we kind of knew how our audience reacted to certain things. We knew when we were recording the second album what things about the new album would be challenging the audience, what bits about it would be very comfortable and accepted of our audience. And then as far as within the band, I think we wrote the second record in quite a different way to how we wrote the first one. It was really much more on the road and in sound checks while we were away. And we knew who we were making it for and what kind of venues it was going to be played in. So, that’s quite informing. As a band we kind of just feel like it’s all about just the five of us. People often get very hung up on which recording studio they’re working in, that kind of thing. It doesn’t matter to us. We just sound like us no matter where we record. When you say, “We sound like us,” when you guys wrote and recorded some of these new songs which don’t necessarily sound like the “us” that emerged on the first album was it a surprise to you guys that you could stretch out that far? It wasn’t a surprise to us at all, but I guess the thing is when people hear a record that a band has made I think often people could be tempted to assume that that kind of perfectly embodies what each member of that band is all about musically. The thing is, that’s just not true. When a band makes a record, it’s just a snapshot of that moment in time of where those people are at and what they’ve decided to do. Actually, the opposite is true, really. It’s impossible in one record to lay down all your influences and everything you want to say and everything that you want to do in your career. You can’t do it in one record. So, as we make more albums … to me it’s kind of like we’re slowly revealing a picture. Each album that you make removes kind of like a square that’s been blacked out, of really trying to find out what those people are all about. I know what I’m about, and I know what the other guys are about because we spend hours every day in a van together listening to music and talking about music. So, it wasn’t a surprise to me at all that we made that kind of record, but I understand that for the listener all they have to go on is the outfit of the band for that day. You listen to the first record and it’s quite clear what some of our influences are. That’s easy to get your head around, but what’s impossible for the listener to know about is all the other music that we listen to and love and has inspired us. The only way that they will learn about that is us making more records and covering more of those influences and going in different directions. It’s definitely about a long-term career and creating a body of work. It’s impossible to say, “This is what the Temperance Movement are all about,” by listening to one or two records because everything is constantly changing for us in terms of what we love. There’s so much already as well that we haven’t even touched on yet. Plus we’re discovering new music all the time that we like. It’s just a constantly moving thing. When we make our next record, again it will just be a moment in time of wherever we’re at at that time when we make that record. Think of how different and distinct each of the first three Led Zeppelin albums sounded, for example. Exactly. They’re listening to different music all the time. The way that they feel about music is constantly changing. The way that they feel about their audience is constantly changing. [There are] so many variables going on that it would be much stranger to make an album which sounds exactly like the one before than to make something different-sounding because, if you’ve got a year or two between records, by the time you come to that next one you’re in a totally different place. So, it’d actually be very weird for it to come out sounding the same. A lot of bands do take that route, though, especially if they have a particularly successful first album—because record companies of course like to repeat that kind of success. I get that, but that’s not why we started this band. We started the band to be creative and to enjoy making music and throughout that a lot of that enjoyment comes from experimenting and exploring different things. The classic example—and the opposite of what you’re talking about—would be someone like Neil Young, who just doesn’t care. He will make, like, an electronic album, and then his next one will be a country album. He’s just into lots of different music and he feels differently one album to the next, and that’s why he makes different music. When you guys get together to come up with songs, is it more of a conventional songwriting exercise or is it more of a jamming kind of thing where you perhaps discover songs from a riff? How structured is that process when you guys write the songs? They come about in all sorts of different ways. Just a key thing is having a good idea. It might be a riff and it might be something that comes out of a jam in a sound check; or it might be a context for what the song may be about or it might be literally just a song title. The initial idea comes from all different places. It could come from anywhere. Then once we have that idea nailed down—or we know which idea we’re holding onto—then it falls into a bit more of a pattern of sitting down and taking that idea and turning it into a song and Phil writing the lyrics and then us getting back together and maybe editing things a bit in terms of the music or the structure of the song and then going into the studio. The recording process from one song to the next is normally quite similar. We’re all in the room tracking together…. Then it kind of fits into the mold of the way that we work, which would generally be the five of us in a rehearsal room nailing everything down or maybe three of us at someone’s house with a couple of guitars nailing everything down and taking these kind of ideas that might be a bit all over the place and actually structuring them into a song. It must be emboldening not to be constrained by any preconceived notions of what the band is or does, because you guys could theoretically create anything. Totally. The thing is, as well, there’s a good understanding between us in the band of where we’re at at a given time without us having to really discuss it too much. If I sit down with Phil to write a song, we won’t say to each other, “Right. Let’s write a song in this style,” or, “Let’s write a song [drawing on] these influences.” I would’ve known because I practically live on the road with Phil. I will know where he’s at musically at that time because in the months leading up to sitting down [to write] I know what he’s been listening to and what he’s been getting excited about musically. We’ll talk about music. Although, when we’re writing these things aren’t discussed. I know where he’s at and he knows where I’m at musically. So, there’s kind of like an unsaid foundation for what we’re trying to do at that time. Also, it will go one way or another depending on what the idea is and where it comes from. There will be a lot of influences floating around … and we’ll draw on the ones that we see as relevant to what we’re doing at the time or maybe even the ones that aren’t very relevant to the original idea. We’re purposely trying to take it away from one musical space and into another one, which happens quite a lot as well. The last thing that we want to do is sound exactly like anybody else. If there’s an initial idea that’s been influenced by something or if we just feel like something is starting to sound a bit too familiar we’ll purposely derail it and take it somewhere else, which happened much more with the second record. We’re still a rock ‘n’ roll band but we didn’t want to sound like anybody else. On the album the band addresses themes of conflict and violence. Yeah, that’s like the prime example of frustration at a situation and kind of just trying to show it’s all so serious, but it’s also all so ridiculous. It’s just kind of the frustration at a situation. I don’t know if I would go as far as to call it a protest song. It’s just a reaction to things that happen with maybe the frustration with feeling like maybe there’s so much going on that it’s hard to do anything about it. It’s kind of a protest song without maybe the optimism of Janis Joplin or whoever thinking that she could actually do something about it. That doesn’t preclude you from being frustrated, though. It doesn’t stop us from being frustrated and it also doesn’t stop us from wanting it to change or wanting things to get better or wanting these things not to happen. That song particularly is kind of a scream in frustration at the problem, which you kind of feel like, especially at first glance, is completely out of your hands. You can’t get close to changing these various situations that are causing all these problems especially with today’s media. They’re kind of screaming “Modern Massacre” at you but at the same time you can’t do anything about it. It’s in your face. It’s just a reaction to all of that, really. Do you know if that song in particular—or other songs on the album that incorporate similar themes—was in any way inspired by the band’s extensive touring in America? Obviously, the level of violence in the States is far beyond what happens in the UK. “Modern Massacre” isn’t talking about any one event in particular. We don’t have the police violence that you have over here [in the US], but from our location on the planet we’re geographically much closer to the stuff that is going on in Syria and stuff like that. It all kind of rolls into one thing, and it’s all reported by the media in the same style. Although the subject of the story might be very different, the kind of reporting style is always very similar—the kind of sensationalism around it and all that kind of stuff. They’re all kind of, “Look at how awful this is,” but at the same time there’s this morbid fascination with it. Everyone wants to tune in and see what’s going on. If the news station happens to have some footage of a body lying on the ground that’s even better and more people will tune in and more people will share it on Facebook. If there’s actually footage of a boat sinking off the coast of Turkey with a load of Syrian refugees in it, everyone will suddenly be interested. You have to kind of ask yourself, “Why is everyone so interested in this?” Are they genuinely concerned about this issue or are they just kind of into seeing these extreme videos posted up on social media? The cynic in me thinks a lot of it is the second, because how many people that host that video of the boat sinking will then actively try and do something about the situation of these people? In answer to your question, we have spent a lot of time [in the States], but it’s probably more about the fact that the world media is so connected now…. When that stuff is going on, even when things are happening on a political level in your country, we very much feel like it’s having a global effect on the world and especially in the UK because our two countries are so close. It doesn’t feel like a problem that’s happening a thousand miles away, unrelated to us. It feels like a very real problem for the world in general as are the issues that we’ve got at home…. It will affect people all around the world. I don’t feel like it’s because we come and spend time in your country that we feel more connected to it. I think it’s because of just the way the world is connected now. I know of friends that don’t travel to the US on a regular basis are as concerned about things that happen in the US as I am. Maybe we slightly understand it more because we understand the issues and various people’s feelings a bit more because we spend a few months at a time here and see people and work out how people are feeling about certain things. Is security a pressing concern for the band? We haven’t changed anything that we do. We’re slightly more aware of it, definitely. We’ve been touring France this year quite a lot, and the security there has gotten very tight in and out of venues with what happened with the Eagles of Death Metal last year and various terrorist attacks subsequently. But I don’t see what we can do, really. We’re not going to start employing security or anything like that. We probably couldn’t even if we wanted to. It kind of feels as if that would just add to the problem, not help it. It kind of feels like that reaction would just escalate things and almost incite more violence, in a way. If bands start showing up to shows with a few guys that are obviously there for security reasons, possibly armed even, I would just think, How is that going to make our audience feel? Is it going to make it feel safer or less safe? I’m not sure. We have a very different view on this and reaction to it because of gun ownership. Just the whole concept of it and the feelings around it are totally different in the UK to what they are in the US. That is something that we don’t understand at all because things are just so different at home. When I see a gun, it worries me. It doesn’t really make much difference to me who’s holding it. If there are two guys on the sides of the stage with guns strapped to them, and if I was at a show at a small venue like we play and I saw that, I think I would feel pretty uncomfortable about it regardless of the fact that they would probably be there for my safety. I don’t think I would feel more safe.